Aptis Maintenance is your one stop shop for maintenance at Minute Man Air Field. 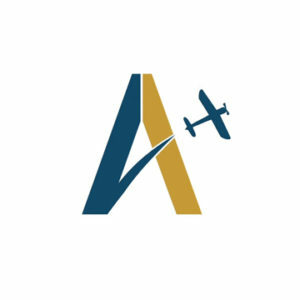 Our technicians are experienced with Cessna, Piper, Grumman, Diamond, Beech, Cirrus, and other lines of general aviation aircraft. We can handle your regular and emergency maintenance requirements ranging from oil changes and tire repair to annual inspections, interior upgrades and engine repair. Safety and performance improvements such as upgrade to inertial reel seat belts, installation of vortex generators and installation of approved speed mods are also available. We can also oversee avionics and other major upgrades for the owner who doesn’t have the time for detailed project management. Chris is the managing partner of Aptis Maintenance. 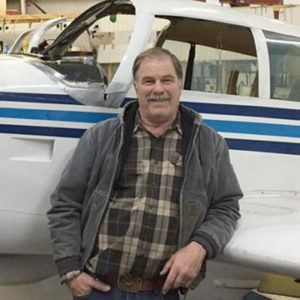 After earning his private pilot certificate in 1977, Chris’ flying went on hold. 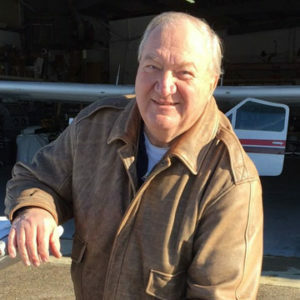 He worked at engineering and technology jobs for over 30 years then returned to aviation with the purchase of a 1976 Cessna Cardinal in 2014. Chris earned instrument and commercial ratings in the Cardinal and is now working toward his CFI rating when not in the shop. Alan spent 20 years in the Air Force fixing F-4's F 105's, T38's, and F-15's. He spent several years overseas in England, Netherlands, Germany, Italy, and 2 tours in Saudi Arabia. Alan graduated from East Coast Aero Tech in 1995 then worked as Chief of Maintenance at the Hanscom Air Force Base Flight Training Center. Alan learned to fly in 1995 getting a private pilots license. Alan owns a 1973 Piper Challenger. Jay worked many years as an air traffic controller in Boston and Nashua in addition to being a licensed A&P/IA and CFII. He retired from ATC so now spends his time turning wrenches, instructing new pilots, and maintaining/flying his own 19xx x35 Bonanza. On the side Jay renovates homes and is an accomplished machinist and welder – two very welcome skills in our shop.